Viking Pools have been in the game since 1975. Their pools have been featured in some of the most family-friendly, as well as the most posh venues. You can see Viking Fiberglass Pools for yourself on television shows like Little People Big World, American Builder, The Adam Carolla Project, Rapid Remodel, The Real World, The Outdoor Room with Jamie Durie, Dream House Log Cabin, 90210, and more. Viking has so much faith in their product, it comes with a lifetime guarantee. 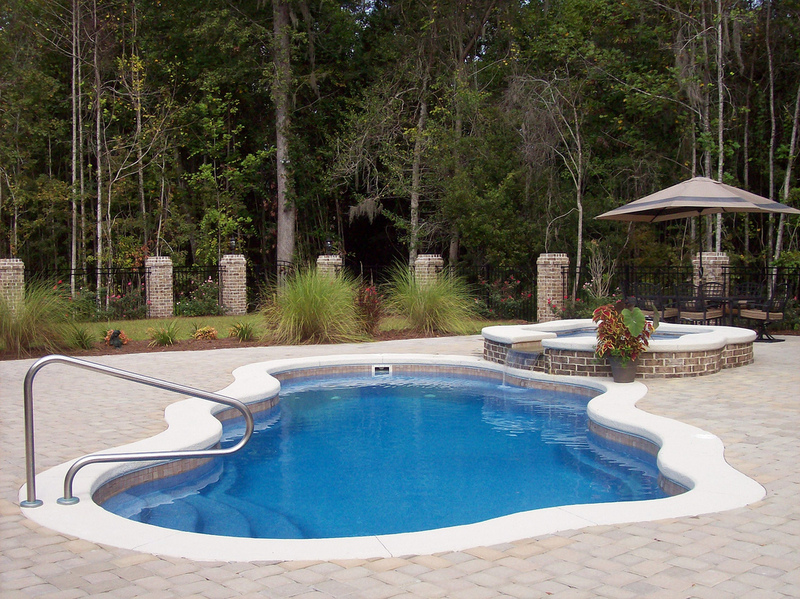 Your fiberglass pool from Viking Pools takes less than a week to install. It is installed in 8 easy steps. It begins by carefully marking out the layout of your new pool for position, then the dig begins. The hole is now prepared for the pool, then the pool is placed. Now the new swimming pool is filled with water and you begin to backfill. Once this is complete you can install the proper plumbing and electrical equipment, pour the concrete around the pool, and voila! Your pool has been installed. 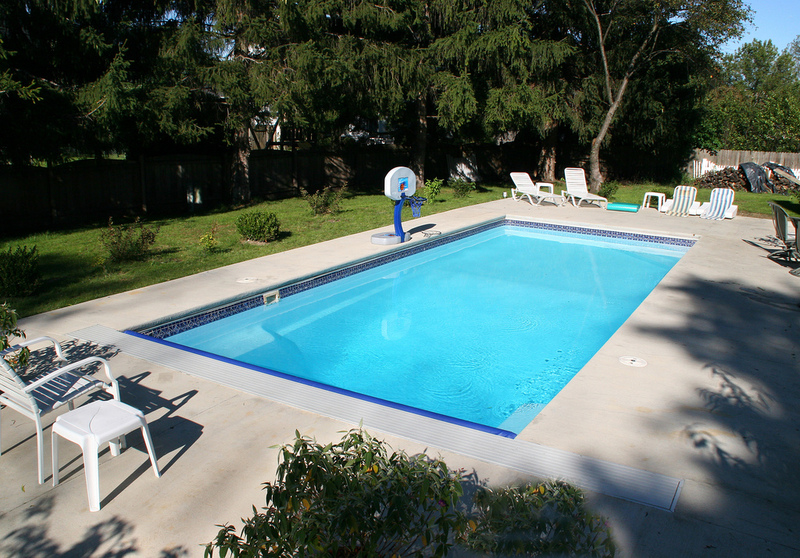 A fiberglass pool will increase your property value. It’s durable and high-quality engineering allows for easy maintenance. As long as you stick to a proper pool care routine, your fiberglass pool from Viking Pools will be in great shape years later. 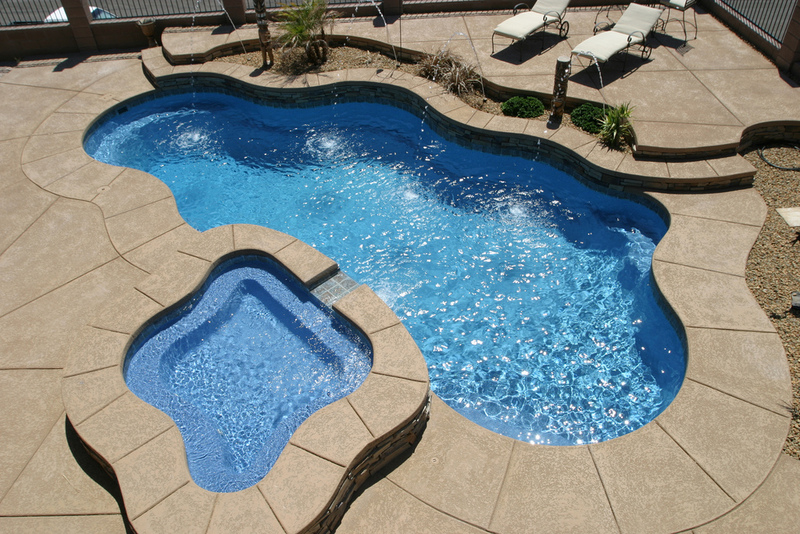 From the factory and throughout the manufacturing process, every Viking pool offers ensured quality. This stems from the 10-stage manufacturing process. This process covers every step from setting the mold, adding premium gel coats, to placing on the truck for delivery. 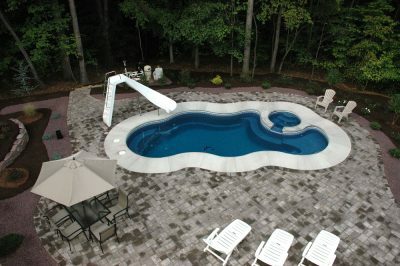 Your Viking Fiberglass Pool will has all the amenities. Standard features include integrated steps, convenience ledge, tiled floors, steps, seats, and skimmer. 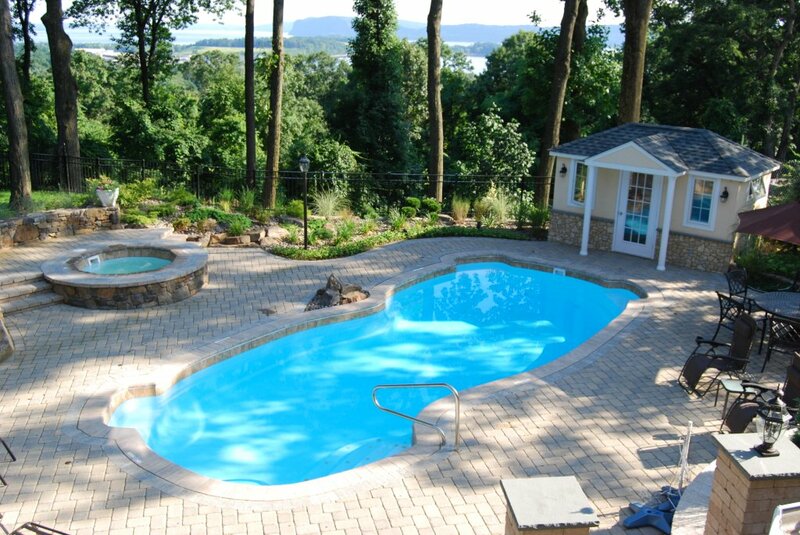 Plus Viking pools offer tanning ledges, custom mosaic tiling, vanishing edges, modular units, and more. Optional features range from practical to luxurious, including LED lighting, Viking cascades and streams for the relaxing sound of running water. Take things up a notch with perimeter and inlaid tile, LED colour changing lights or fiber active, plus In-Floor Cleaning & Circulation Systems, safety covers and more. Viking Pools are stronger than concrete. Made with the strongest and most durable technology like standard gel-coat or premium Crystite or Diamond Series finish, which is in combination of layers of Vinyl Ester Resin, chopped and hand laid fiberglass for increased strength. The pool is supported by PVC-honeycomb vertical supports. Viking Fiberglass Pools are designed with a smooth non-porous finish. This means you don’t need as many chemicals because algae has nowhere to latch in order to develop. This also means less manual cleaning, because fiberglass pools are compatible with automatic pool cleaners. If you’re looking for a cost effective inground swimming pool solution, Viking Fiberglass Pools are an excellent long term investment. 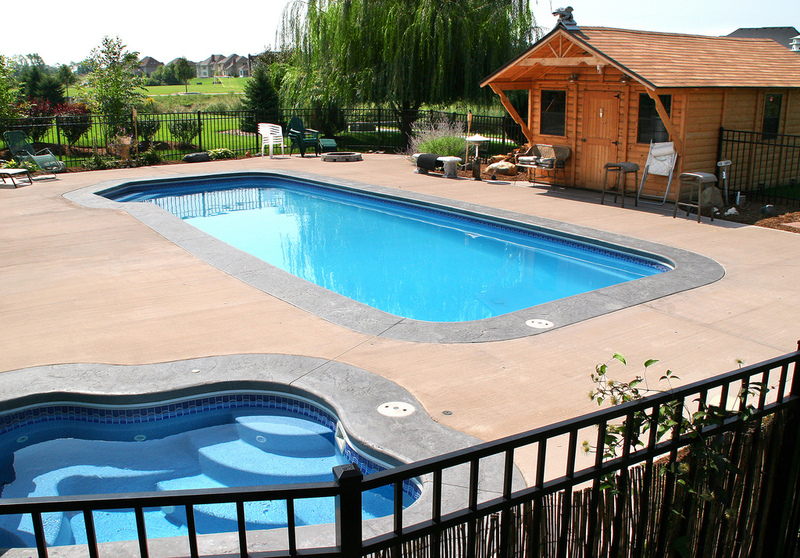 The typical cost to maintain a Viking Fiberglass Pool over the course of 10 years is around $4,200; whereas the competition renders costs of over $6,000 to maintain. 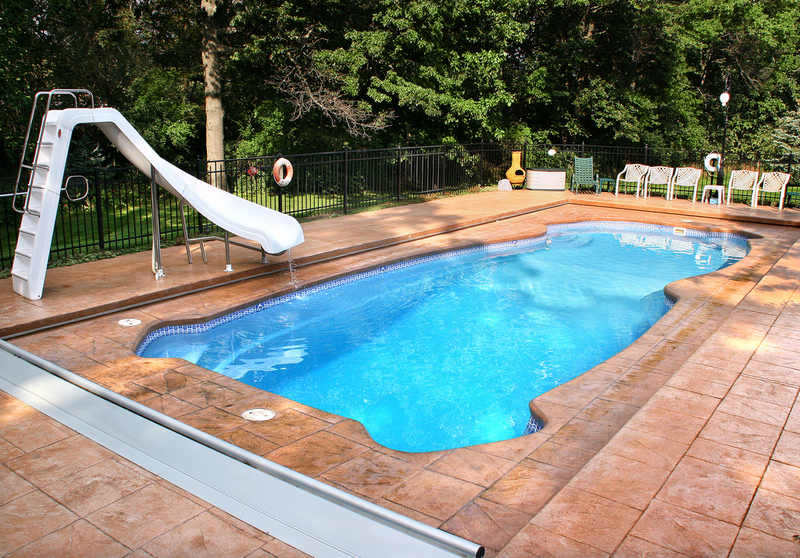 Viking Fiberglass Pools continue to lead the industry in terms of value. They never need to be re-plastered. As well, you will never have to replace the liner. Overall, if you’re in the market for leading design, durability, and versatility, there is no other choice than a Viking Fiberglass Pool. 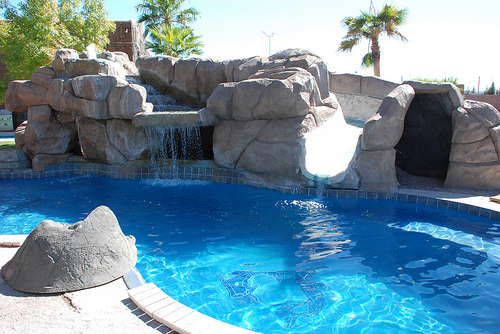 This is one of the most high-quality swimming pools on the market. With various sizes, shapes, and available options, plus a lifetime structural warranty, you know you’re getting a pool that is designed to last. Elitepools.ca offers top of the line fiberglass pools from Viking Pools and is the leader in fiberglass pools in Ontario. If you would like to get more information or to speak to one of our service professionals, you can contact us here.